The Diorama Maps project is a joyous mixture of photography and cartography, inspired in part by the 18th century Japanese map-maker Ino Tadataka. 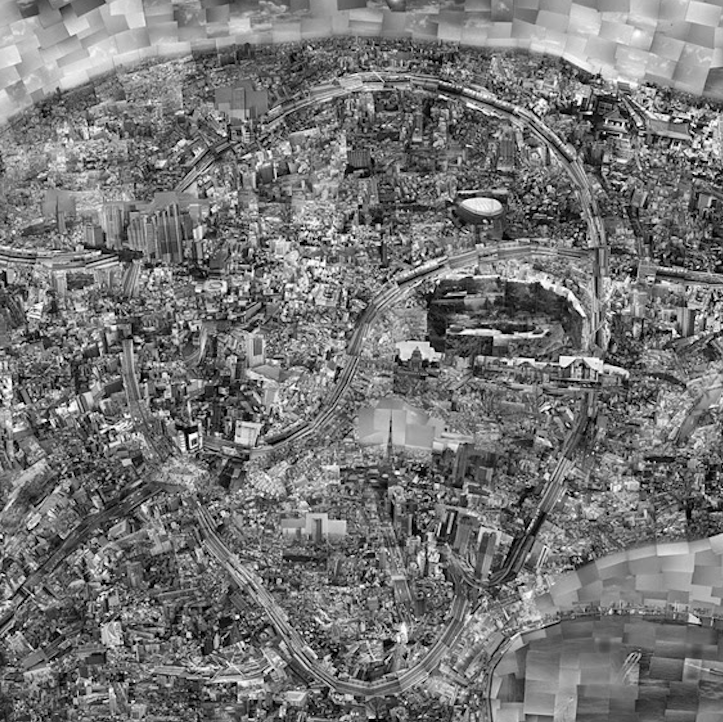 To make his “Diorama Maps,” Sohei Nishino spends months in a city, exploring its many vantage points. During this time he shoots thousands of pictures, which he then painstakingly hand-prints, trims to size, and compiles into huge tableaux collages from which he issues the limited edition photographic prints in two sizes. The effect is not a traditional bird’s-eye view but a wonderfully fragmented, enlightened way of seeing three dimensions in one plane. PR Info _ The Diorama Maps project is a joyous mixture of photography and cartography, inspired in part by the 18th century Japanese map-maker Ino Tadataka. 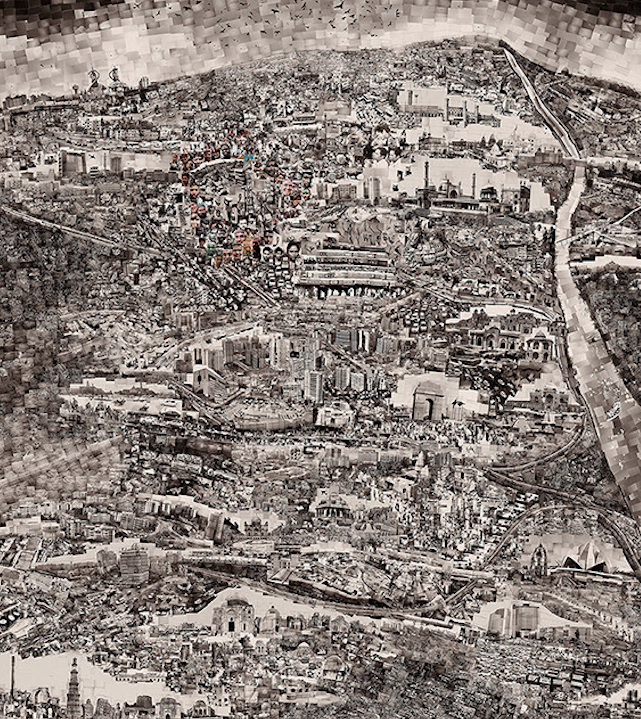 To make his “Diorama Maps,” Sohei Nishino spends months in a city, exploring its many vantage points. During this time he shoots thousands of pictures, which he then painstakingly hand-prints, trims to size, and compiles into huge tableaux collages from which he issues the limited edition photographic prints in two sizes. The effect is not a traditional bird’s-eye view but a wonderfully fragmented, enlightened way of seeing three dimensions in one plane. Nishino’s more recent maps see his talent and skill much matured. They have all the detail and playfulness of his earlier Dioramas, and now also added elements, such as his insertion of colour photographs into the mix – for instance the carnival scene in Bern, or the many faces of his friends in New Delhi, thus further evoking the vibrancy of the places he depicts.